Search engine optimization doesn’t require a lot of heavy lifting to get things moving. If you follow these 5 simple optimization tips, it will help you get your web site pages on the right track. Focus on the highest volume, lowest competition keywords to start generating relevant traffic to your website. For example, you may sell widgets and that is highly searched for, but a lot of businesses sell widgets. Your business also has the crazy blue widget, which may have lower searches but also has lower competition. Find a niche and a longer tail keyword and focus on this first to drive traffic. Optimize your title tag to focus on the keyword. Use the keyword first and ideally your location next (unless you are national or global). Including your business name is also good to maintain brand awareness. Optimize your meta description tags for your focus keyword. The meta description should describe the offer or benefit your widget has for the visitor. Consider that you are using this tag to briefly sum up what the page is about and why the searcher should consider visiting. Weave the keyword within the content of your page. Use synonyms to describe the product or service. 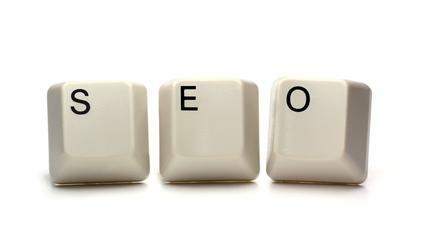 Search engines want to understand what the page is about and text is a very important factor. Use language to educate and help visitors get what they need. Link within your site to your relevant pages so if you have an overall page for widgets, link to the page for crazy blue widgets. If you need help with search engine optimization, get in touch or get started by filling out our free website analysis.